The ISO Translations Affiliate Program is a profitable and easy way for you to partner with the leader in translation services and earn commissions every time your referral purchases a translation service from ISO Translations. How does the ISO Translations Affiliate Program work? As an affiliate, you will have access to detailed training and technical support in regards to the affiliate materials you need to use, at no cost. We look forward to welcoming you to our network of affiliates and sharing in our success. 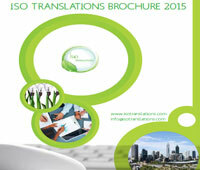 It’s free – it won’t cost you a cent to join the ISO Translations affiliate program. Global program – Our affiliate program is available worldwide. Getting started is easy! – you can start immediately – our translation affiliate program provides all the help you need to start earning money. Monthly payment– commission is paid on the first day of the month, for the projects that the customer has paid. Up-to-date reporting – easy access and detailed online reporting so you can see how much you’re earning. Complete this registration form and submit your application. We will email you with the details. 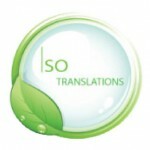 Already a ISO Translations affiliate? Sign in to your account to review your performance.